High levels of STEP have also been reported in brains of Alzheimer’s patients, the authors note. 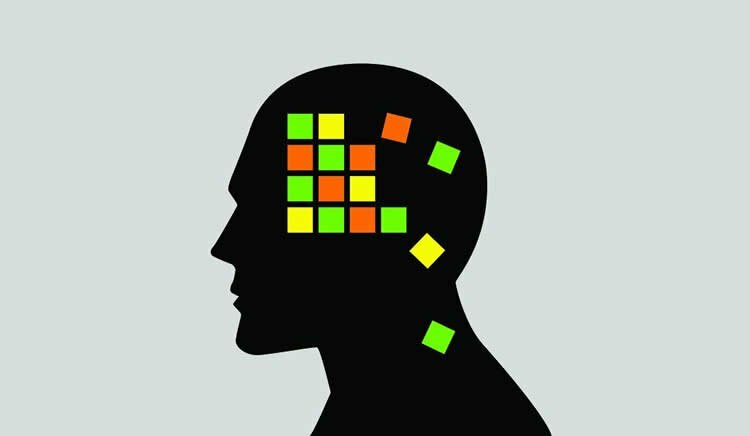 STEP appears to play a key role in memory consolidation, but too much of it appears to be a bad thing. Young mice and rats with elevated levels of STEP perform more poorly on maze and other memory tests than their peers, and older animals in which STEP is inhibited perform more like young mice. Increased levels of STEP in the hippocampus, a brain structure crucial to the formation of memory, were found in memory-impaired mice and rats, aged rhesus monkeys, and people suffering from mild cognitive impairment. NeuroscienceNews.com image is adapted from the Yale press release. David Castonguay is lead author of the paper, and Jonathan Brouillette is co-corresponding author. Both are from the Université de Montréal. Image Source: NeuroscienceNews.com image is adapted from the Yale press release. Original Research: Open access research for”The Tyrosine Phosphatase STEP Is Involved in Age-Related Memory Decline” by David Castonguay, Julien Dufort-Gervais, Caroline Ménard, Manavi Chatterjee, Rémi Quirion, Bruno Bontempi, Jay S. Schneider, Amy F.T. Arnsten, Angus C. Nairn, Christopher M. Norris, Guylaine Ferland, Erwan Bézard, Pierrette Gaudreau, Paul J. Lombroso’Correspondence information about the author Paul J. Lombroso, and Jonathan Brouillette in Current Biology. Published online March 22 2018. Yale “How Do We Lose Memory? A STEP at a Time.” NeuroscienceNews. NeuroscienceNews, 25 March 2018. Yale “How Do We Lose Memory? A STEP at a Time.” http://neurosciencenews.com/step-memory-8681/ (accessed March 25, 2018). Cognitive disabilities that occur with age represent a growing and expensive health problem. Age-associated memory deficits are observed across many species, but the underlying molecular mechanisms remain to be fully identified. Here, we report elevations in the levels and activity of the striatal-enriched phosphatase (STEP) in the hippocampus of aged memory-impaired mice and rats, in aged rhesus monkeys, and in people diagnosed with amnestic mild cognitive impairment (aMCI). The accumulation of STEP with aging is related to dysfunction of the ubiquitin-proteasome system that normally leads to the degradation of STEP. Higher level of active STEP is linked to enhanced dephosphorylation of its substrates GluN2B and ERK1/2, CREB inactivation, and a decrease in total levels of GluN2B and brain-derived neurotrophic factor (BDNF). These molecular events are reversed in aged STEP knockout and heterozygous mice, which perform similarly to young control mice in the Morris water maze (MWM) and Y-maze tasks. In addition, administration of the STEP inhibitor TC-2153 to old rats significantly improved performance in a delayed alternation T-maze memory task. In contrast, viral-mediated STEP overexpression in the hippocampus is sufficient to induce memory impairment in the MWM and Y-maze tests, and these cognitive deficits are reversed by STEP inhibition. In old LOU/C/Jall rats, a model of healthy aging with preserved memory capacities, levels of STEP and GluN2B are stable, and phosphorylation of GluN2B and ERK1/2 is unaltered. Altogether, these data suggest that elevated levels of STEP that appear with advancing age in several species contribute to the cognitive declines associated with aging.